The day before Arkham Knight was announced I remember someone who worked at Gamestop posted photos of AK promotional stuff (posters, hanging logos ect.) in the store ready for the announcement and for pre orders, so it's not as silly as you might think. That poster has a black and white logo and Ed Boons change of Twitter picture was a black and white circle thing. I remember when Resident Evil 6 had a poster leak, and this may be the same type of situation. <div class="forumQuote"><b>Hattoris Wrote:</b><br/><div class="forumQuote"><b>DeeNixxle Wrote:</b><br/>That poster has a black and white logo and Ed Boons change of Twitter picture was a black and white circle thing. I remember when Resident Evil 6 had a poster leak, and this may be the same type of situation.</div> <br/><br/> <br/><br/>Let's just hope whatever this ends up being is better than Resident Evil 6 :legacy_wink:</div> <br/> <br/>We can only hope. Uhhh... has anyone noticed the avatar and cover photo on the official MK Facebook page? Omg. What would "Who's Next" mean though? Next to die? Next to be revealed? Next to be MK champion? <br/>Excited! Omg. What would "Who's Next" mean though? Next to die? Next to be revealed? Next to be MK champion? Who's Next? 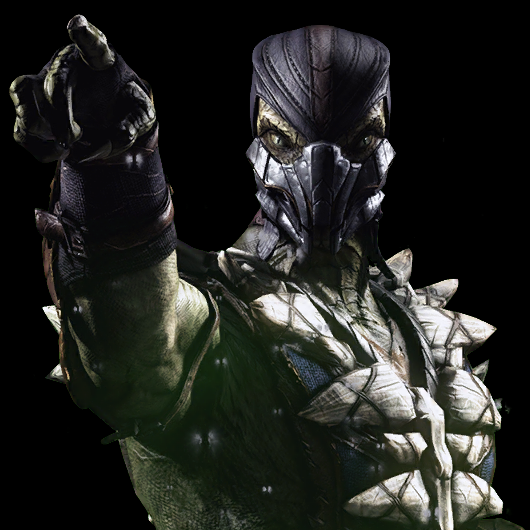 <a href="http://www.mortalkombatonline.com/content/forum/showmessage.cds?id=150900">We've got a dedicated thread for the new info</a>. Who's Next? We've got a dedicated thread for the new info. <div class="forumQuote"><b>AJAX75 Wrote:</b><br/>The day before Arkham Knight was announced I remember someone who worked at Gamestop posted photos of AK promotional stuff (posters, hanging logos ect.) in the store ready for the announcement and for pre orders, so it's not as silly as you might think. </div> <br/> <br/>Well, at least we know that the logos seem are legit! I'm still not sure about that poster, but what you say make sense and I'm starting to be a bit less cynical after all of the trolling in the last few weeks has finally revealed some news. Can't freakin wait for the reveal!! Well, at least we know that the logos seem are legit! I'm still not sure about that poster, but what you say make sense and I'm starting to be a bit less cynical after all of the trolling in the last few weeks has finally revealed some news. Can't freakin wait for the reveal!! <div class="forumQuote"><b>RubberChickenMan Wrote:</b><br/>Did we ever get a black and white MK logo in any of the games? The background is usually yellow red or orange. Maybe this time it black and white.</div> <br/> <br/>I demand a cook<i></i>ie! <div class="forumQuote"><b>RubberChickenMan Wrote:</b><br/><div class="forumQuote"><b>RubberChickenMan Wrote:</b><br/>Did we ever get a black and white MK logo in any of the games? The background is usually yellow red or orange. Maybe this time it black and white.</div> <br/><br/> <br/><br/>I demand a cook<i></i>ie!</div> <br/> <br/>http://2.bp.blogspot.com/_IjbomU5GjSc/TOXscqvUY9I/AAAAAAAAAtA/uBzPCfcuX6s/s1600/102_2382.JPG <br/> <br/>You're welcome. lol Thank you, JR is cool too tho. Besides, who wouldn't want to share an MK cookie? <div class="forumQuote"><b>mkdfan Wrote:</b><br/>Omg. What would "Who's Next" mean though? Next to die? Next to be revealed? Next to be MK champion? <br/><br/>Excited!</div> <br/> <br/>Purely speculation, well actually, overly speculating :legacy_tongue: But if "Who's Next" refers to a crossover in any way, shape or form, I think I might shoot myself in the foot. <br/> <br/>I apologize in advance if I have just given any of you guys the thought! Purely speculation, well actually, overly speculating But if "Who's Next" refers to a crossover in any way, shape or form, I think I might shoot myself in the foot. I apologize in advance if I have just given any of you guys the thought!